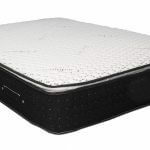 Latest next generation Hybrid Gel pillow top mattress, the most advanced natural combination mattress of its kind. Featuring tailored multi zone support via its 2000 individual pocket springs, unrivalled pressure based comfort from the Gel. Extensively tested and tweaked to provide the ultimate balance between comfort and support. The development team have over 40 years combined experience in this industry. Luxurious soft knit cashmere fabric, when combined with the air vents work in harmony to ensure all year round temperature regulation. 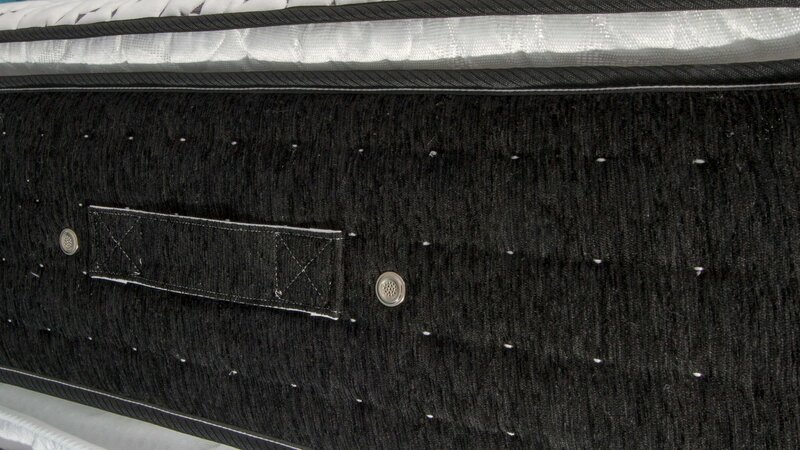 This is a non turn mattress, however will require rotation to ensure natural settlement of the mattress. Gel is the latest of foam fillings and is the height of technology. 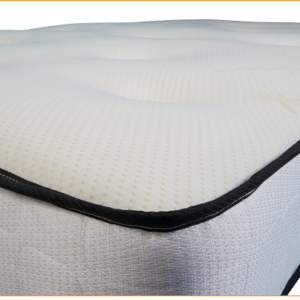 Gel provides a Latex feel sleep surface but with added benefits of a cooler sleep. Suitable for use by users with Latex allergies. 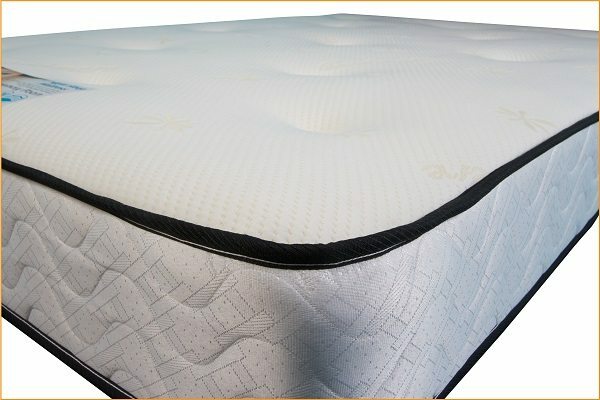 This mattress eases back aches and pains as well as being hypoallergenic. 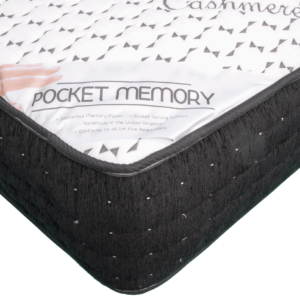 Ideal for users who sleep warm and those who do not like the body contouring (sinking) feel from memory foam. 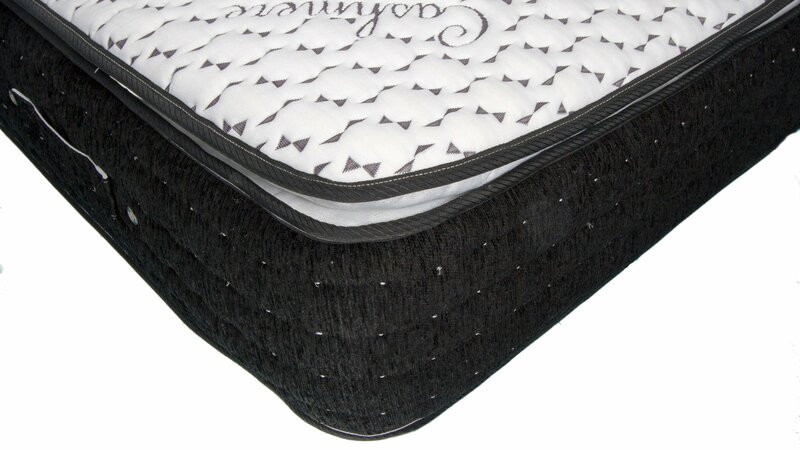 Handcrafted in the UK, this mattress boasts a 4 tac border in a stylish black chenille fabric. 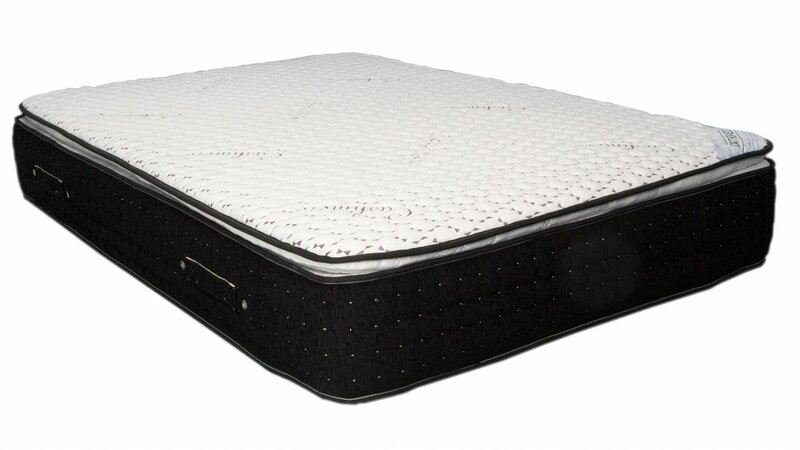 Unlike its rivals the pillow top provides a flat sleep surface with edge to edge support. All the fillings used in this mattress is sourced from a National Bed Federation approved supplier and is CertiPUR / EUROPUR Certified for safe foam use. Save up to 60% off typical high street prices! 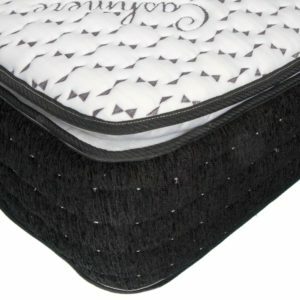 This mattress is delivered within 10 to 15 working days to most areas. 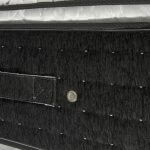 Some remote / rural areas may take longer to deliver so please allow up to 20 working days. 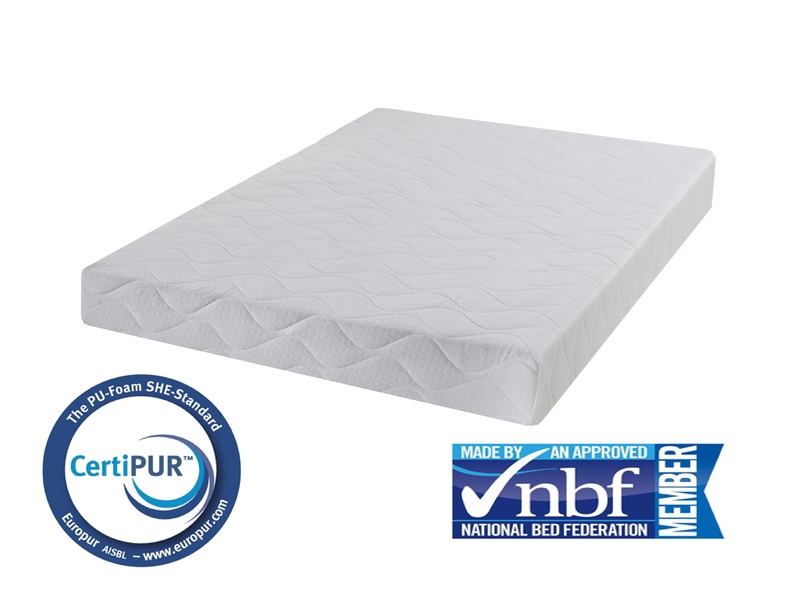 It is best suited for use with solid platforms, for example divan beds.